Today I'm wearing this purple beauty. 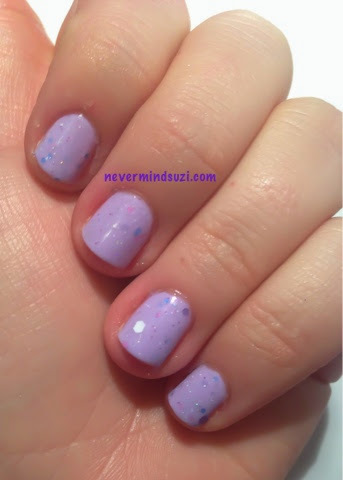 Destined for Grapeness is a lavender crème with a variety of glitters. 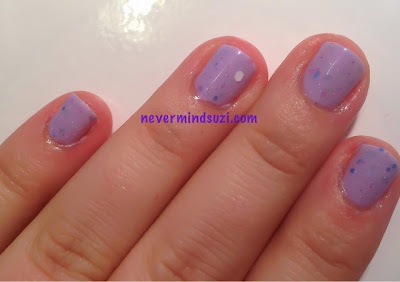 Blue, pink, purple glitters and pretty white hexes. This has such a lovely shimmer too, it's so pretty.